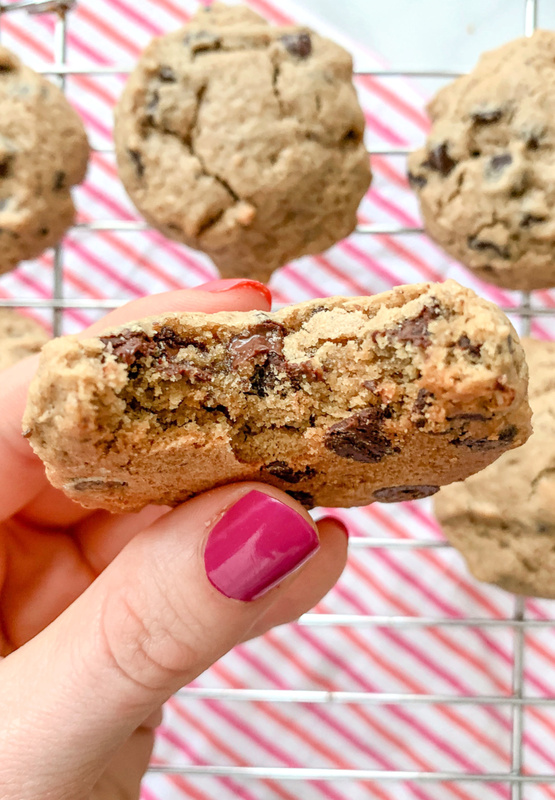 I know it’s late on a Sunday night, but I wanted to get this delicious gluten free & vegan chocolate chip cookie recipe up asap! I’m having a hard time focussing on writing because the Ted Bundy documentary is playing in the background. How does one write about tasty cookies when talks of a serial killer are going off in the background? Yikes. Chocolate chip cookies are one of my favorite desserts. I love to keep them in a container in the freezer for when I’m craving them, but they don’t last long because Kyle seems to find them quickly. 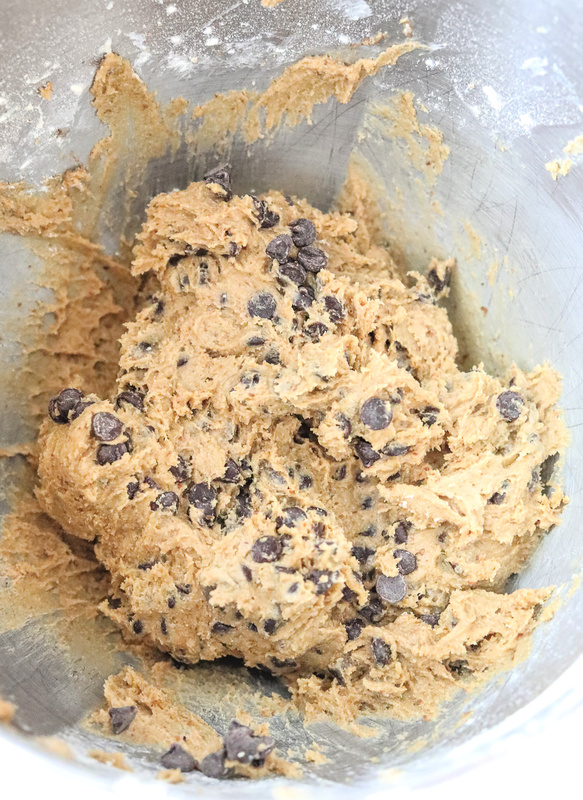 I had been working on a new recipe for vegan chocolate chip cookies that are gluten-free, and it finally came together. 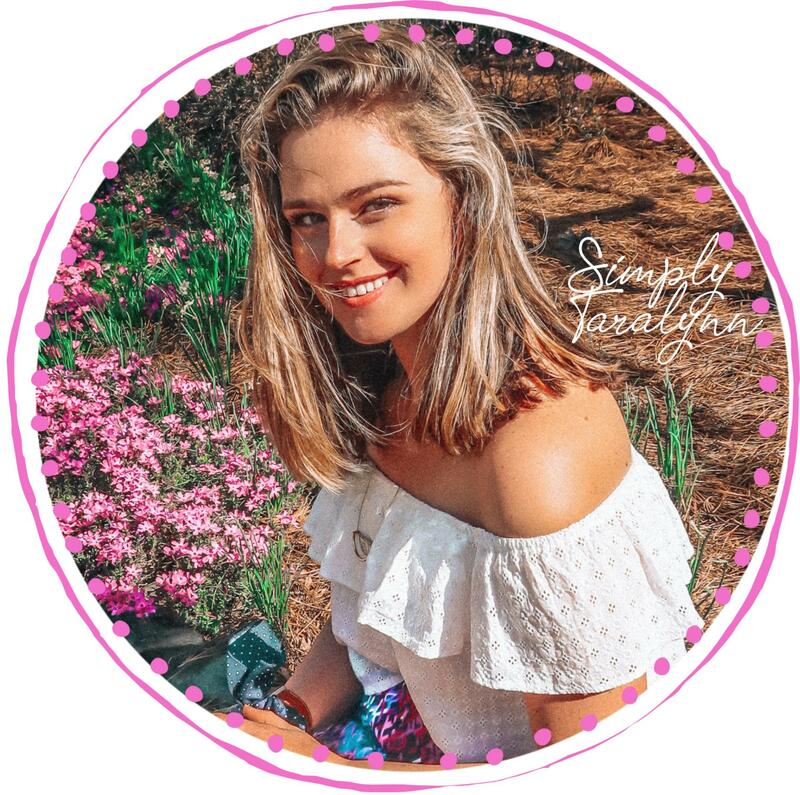 I’m so excited to share it with you all, and I hope you make these! You won’t be disappointed. 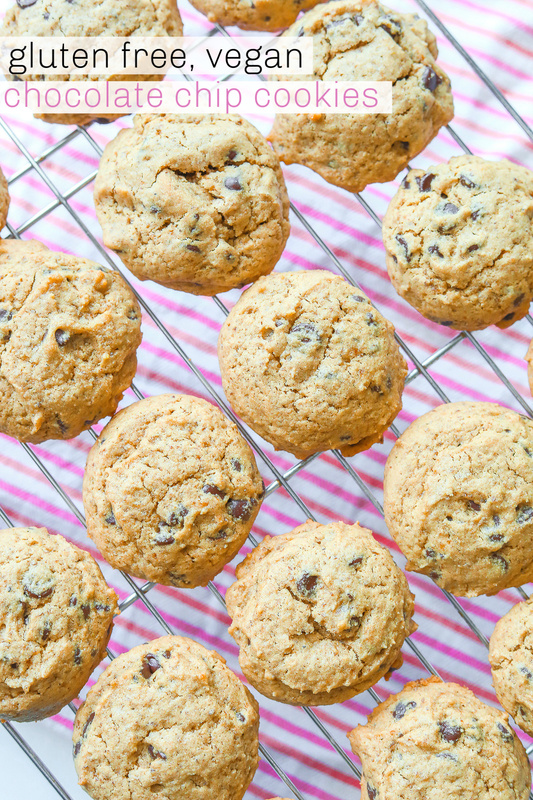 These cookies are soft and taste like the dreamiest chocolate chip cookie! They were born to be dunked in a cold glass of milk (almond milk for me!) I guarantee, the average person will not be able to tell that these are a bit lighter, gluten-free, and vegan! 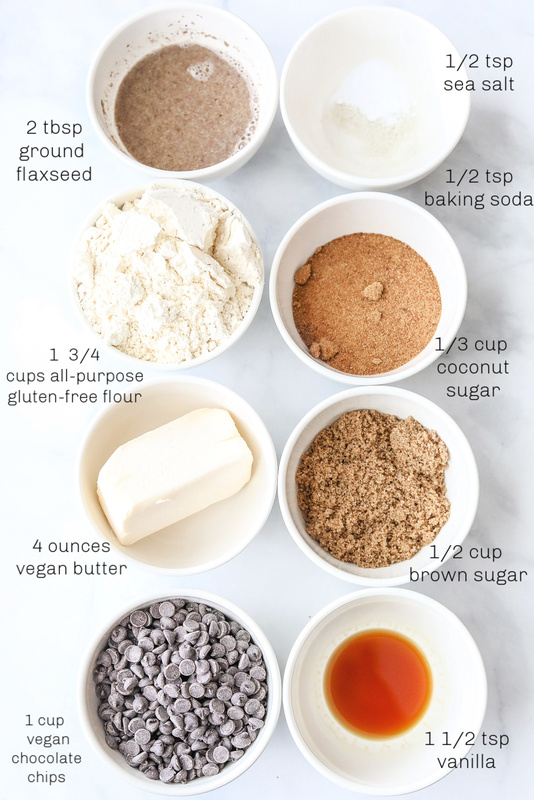 All you need is flaxseeds, water, sea salt, baking soda, all-purpose gluten-free flour, vegan butter, coconut sugar, brown sugar, vanilla, vegan and chocolate chip. You can use any sugar replacements to replace the coconut sugar. I used Lily’s no sugar added chocolate chips. The flaxseed needs to be mixed with water and set aside for a couple of minutes before combining! This recipe is so simple and can be made within 20-minutes! First, you’ll beat the softened butter on high until it’s creamy. Use a spatula to scrape down the butter. Add brown sugar, coconut sugar, and vanilla. Mix until it’s completely lump-free. Sift the flour, sea salt, and baking soda together. 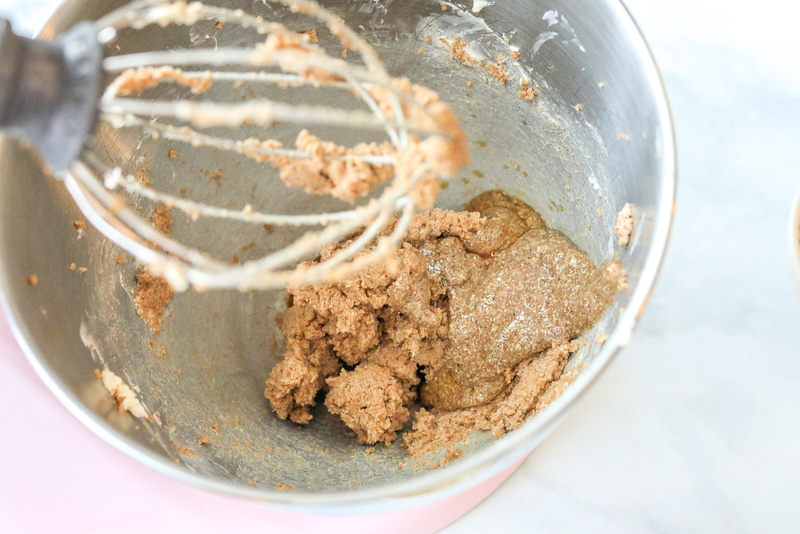 Add the flaxseed mixture to the mixer. 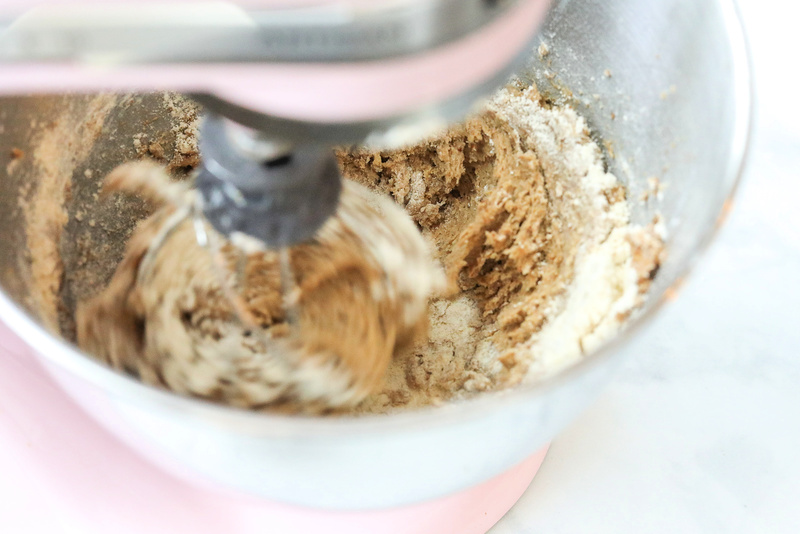 On low speed, add sifted flour by the spoonful into the mixer until all flour is incorporated. 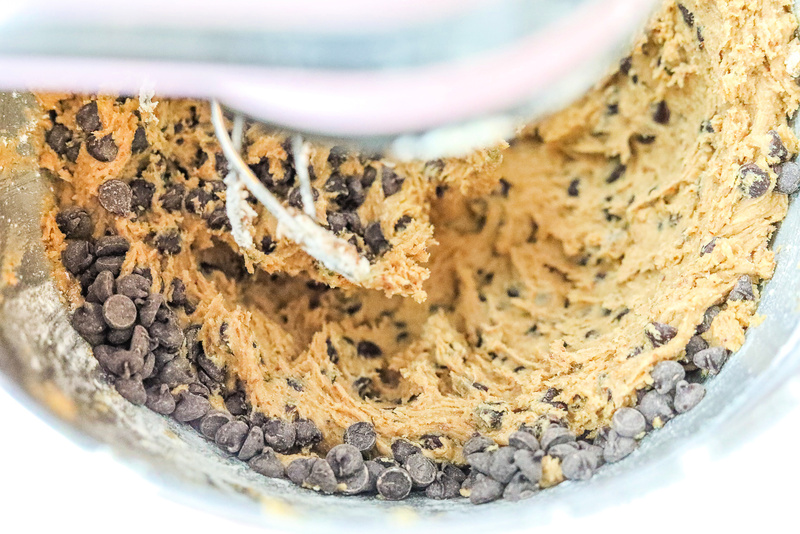 Mix in the chocolate chips! The dough might taste a little “flax-y,” but it bakes out. 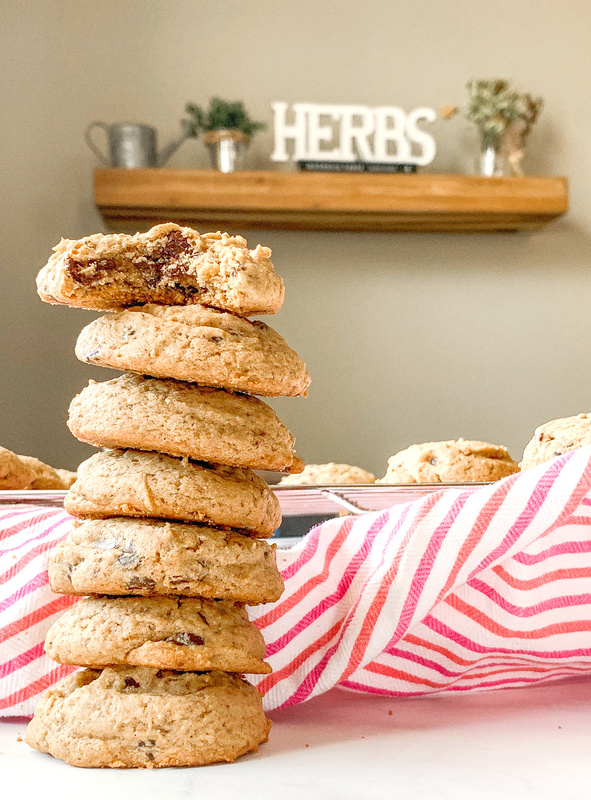 You couldn’t taste the flaxseed at all once the cookies were fully baked. Ohhhhh, they smelled so good!!!! 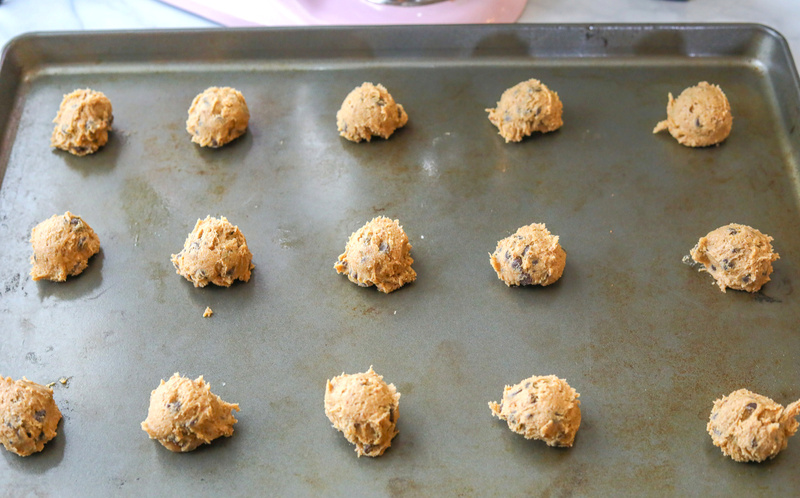 Scoop two-tablespoon sized dough balls onto an ungreased baking sheet. 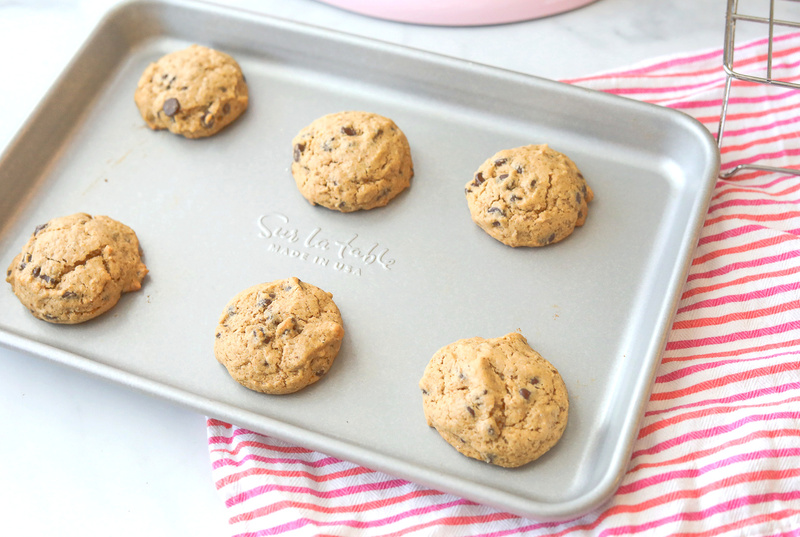 Transfer the cookies to a cooling rack with a spatula! This recipe made 24 cookies! In a small bowl, Mix the water and ground flaxseed together. Set aside. 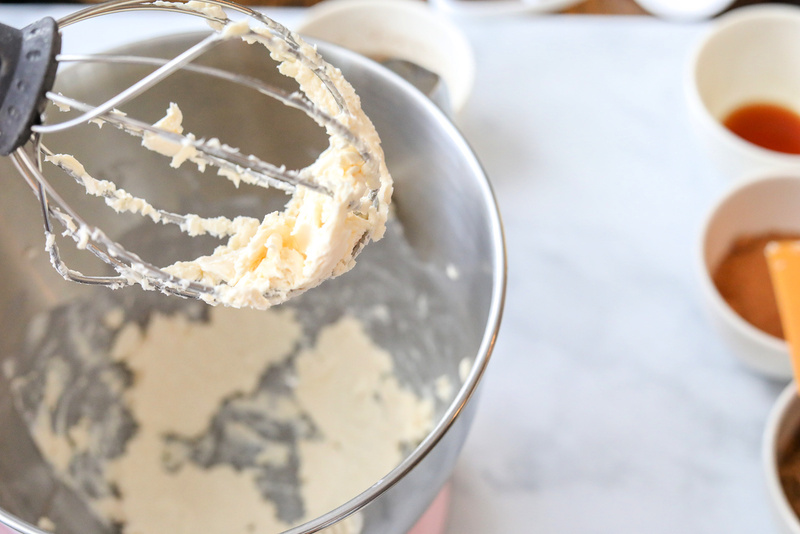 In an electric mixer, cream the butter until lump-free. Mix in the brown sugar, coconut sugar, and vanilla. Mix in the flaxseed mixture. Sift together the flour, sea salt, and baking soda. 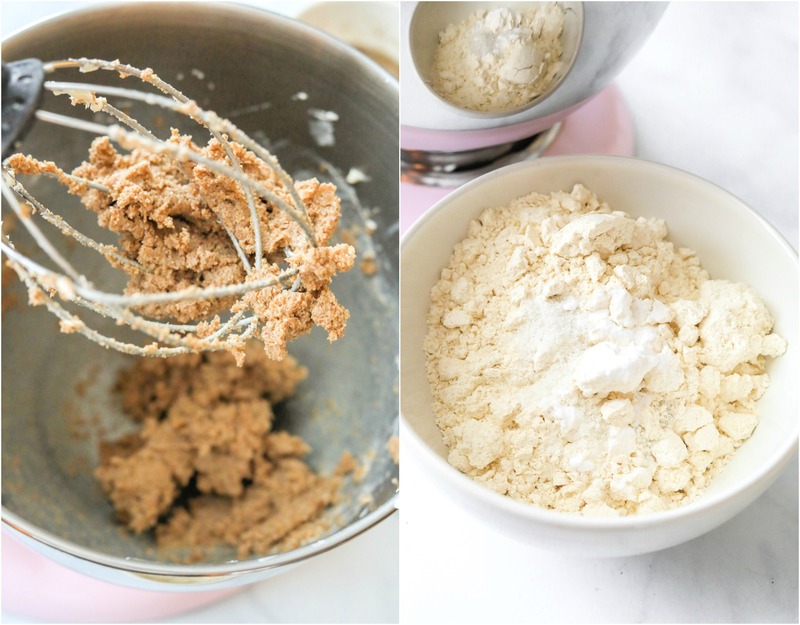 Add the flour mixture to the electric mixer by the spoonful until it's completely incorporated. Bake 10-13 minutes. 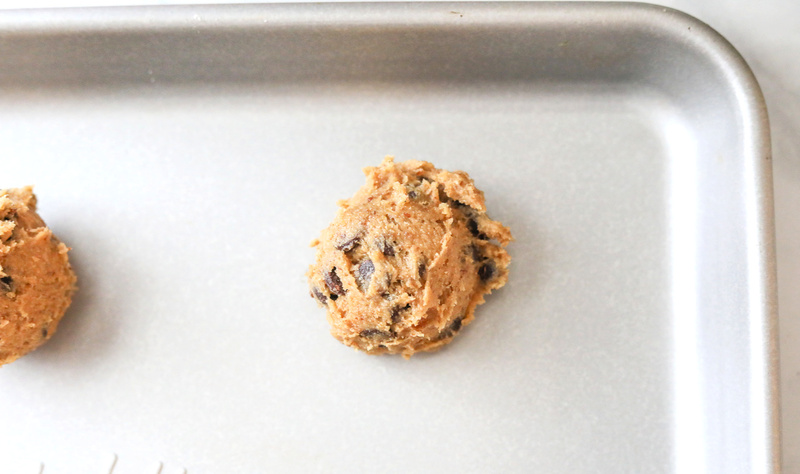 Transfer the cookies to a cooling rack with a spatula! 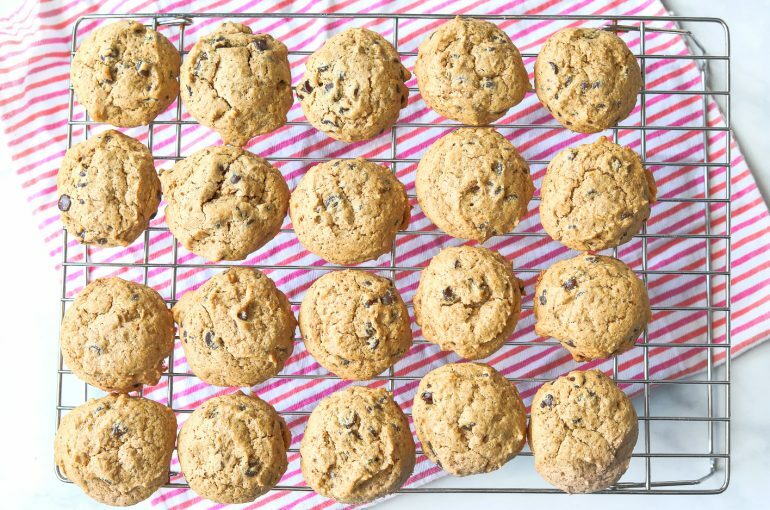 These were the perfect Sunday treat to bake! 😊 I hope you guys enjoy them! 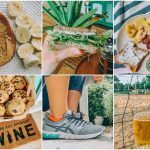 Make sure to tag me in your recipe pics! I love seeing them. It’s only 7:30 pm, but I’m ready to take a hot bubble bath and jump into bed! Hope you have a great night, everyone!!! Did you watch anything good this weekend? these are so delicious, I made them last night for a party and everyone loved them. Need to make more ASAP. YAY!!! Thanks for sharing, Harriet! We have three cookies left and will make some tonight!! We keep them in the freezer to have with coffee. We loved this recipe. It’s always difficult to find gluten-free and vegan recipes that my kiddos love. We look forward to making our second batch this evening. The last thing I baked was Jalapeno poppers and they were so delicious! I need to make them more often. I’ve been catching up on Grace & Frankie all weekend, so good! ohhhhh yum!!! 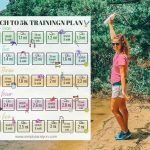 I did that with Kite-hill last year! I need to do the same, thanks for reminding me!! I heard that show is good! I’m excited to make these! Could I use coconut oil instead of butter? Made these at midnight! I subbed the coconut sugar for swerve and the brown sugar for swerve brown sugar. Thank you for my new favorite recipe! I will try to make these with almond flour to lower the carb count. I don’t own coconut sugar or flaxseed at this moment.. but reading this made me want to run out to the store to get some! Those look amazing Taralynn! These cookies look tasty. I might have to have a go at making them for myself..
Vegan banana bread! Except I eat the whole loaf in two days so I try not to make it a lot haha. My husband and I have been into the Ted Bundy documentary. Kyle has been watching it and I’ve been tuning in here and there. SO CREEPY!!! I’m excited to the Zac Efron movie to come out.